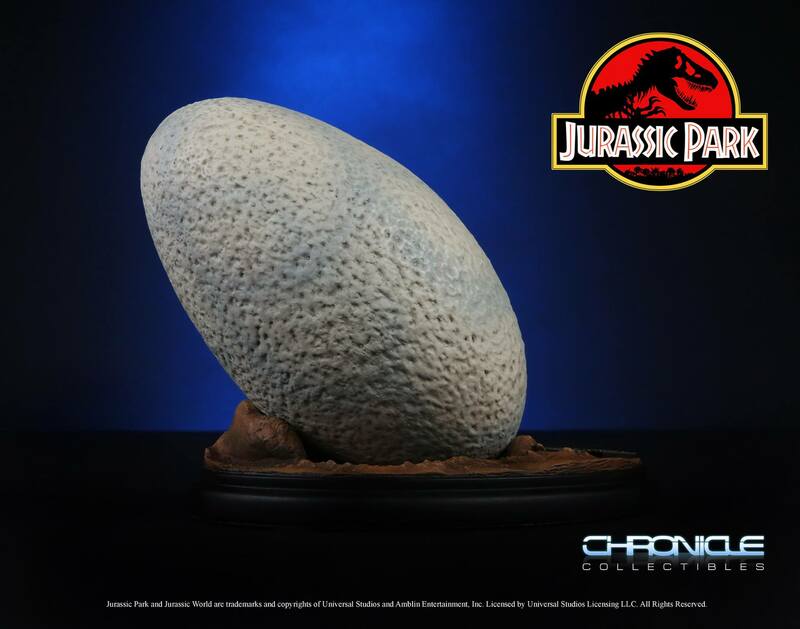 A brand new Jurassic Park replica is coming from Chronicle Collectibles. 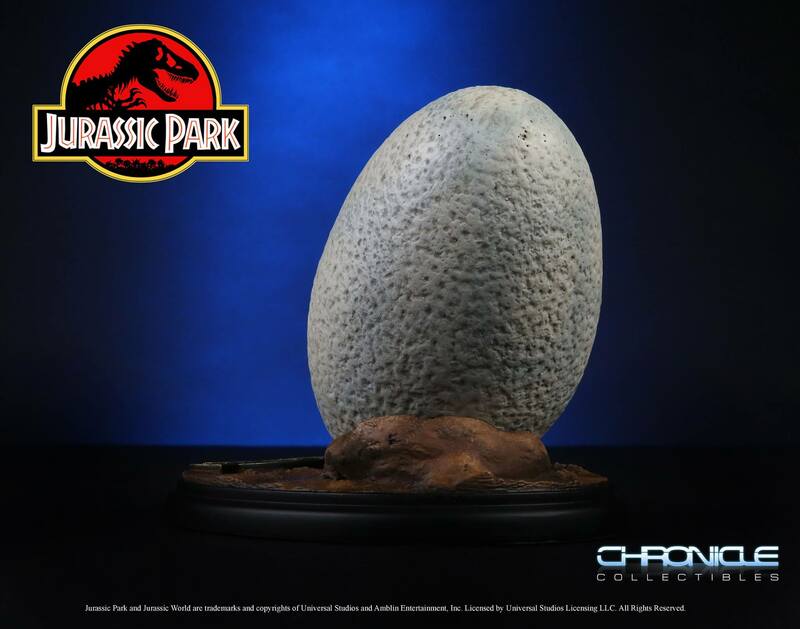 They have announced the Jurassic Park Raptor Egg 1/1 Scale Prop Replica. Pre-orders go live this Friday at Noon Central Time. 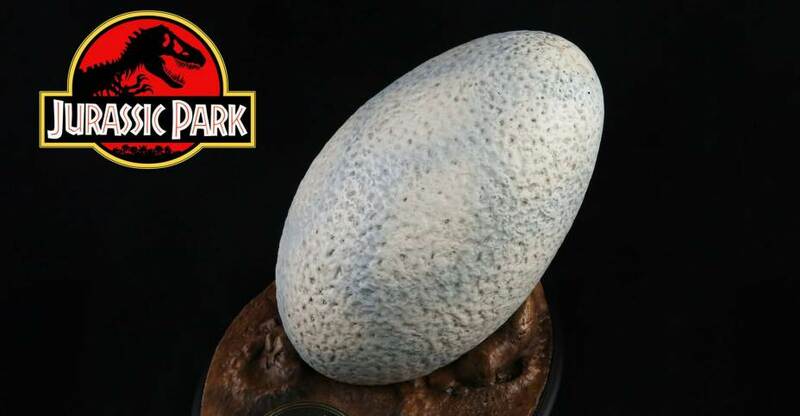 The replica Raptor Egg will be priced at $200 with options to pay in full or use one of the optional 3-month or 6-month payment plans. 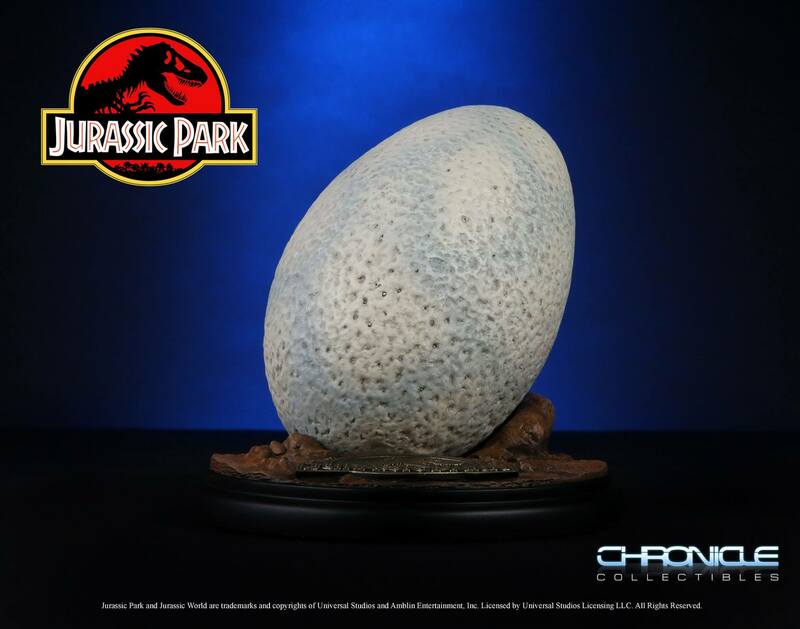 “”OK, try to imagine yourself in the Cretaceous Period. You get your first look at this “six foot turkey” as you enter a clearing. He moves like a bird, lightly, bobbing his head. And you keep still because you think that maybe his visual acuity is based on movement like T-Rex – he’ll lose you if you don’t move. 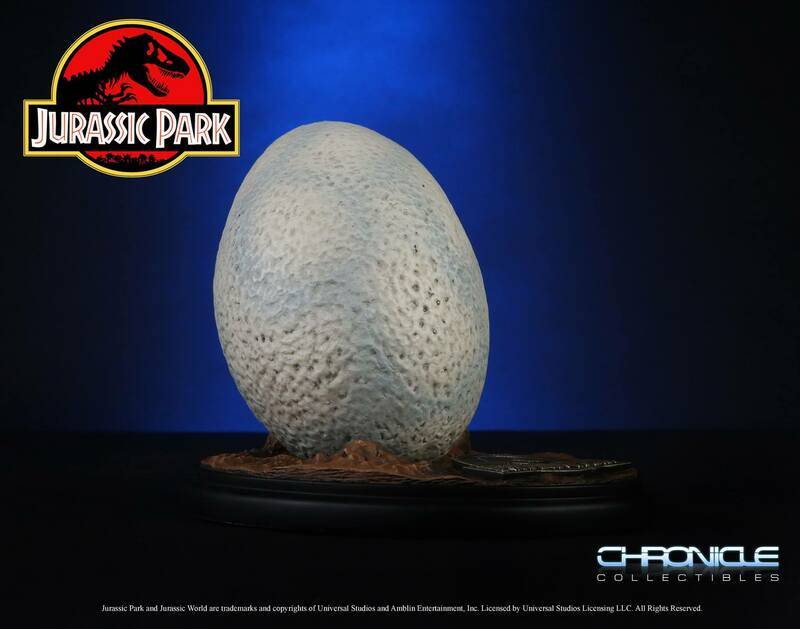 But no, not Velociraptor. You stare at him, and he just stares right back. And that’s when the attack comes. 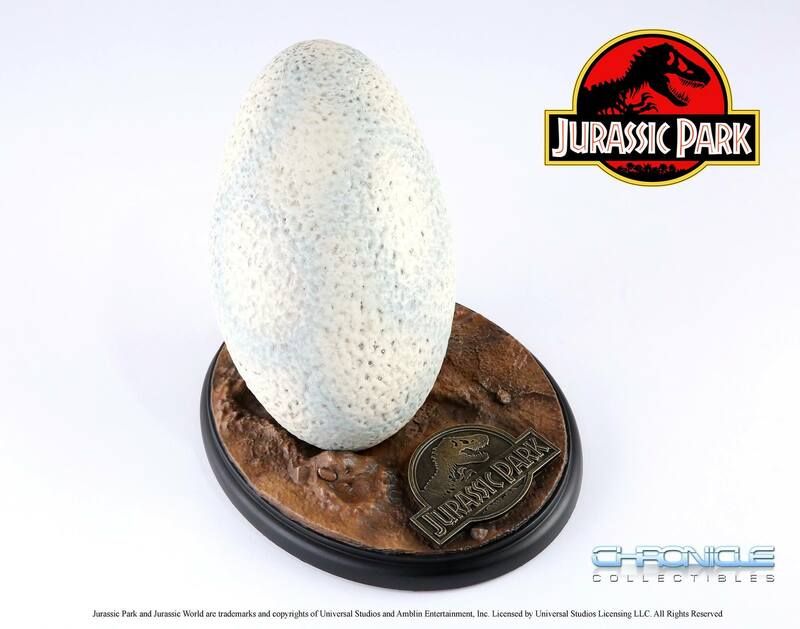 Not from the front, but from the side, from the other two raptors you didn’t even know were there. Because Velociraptor’s a pack hunter, you see, he uses coordinated attack patterns and he is out in force today. 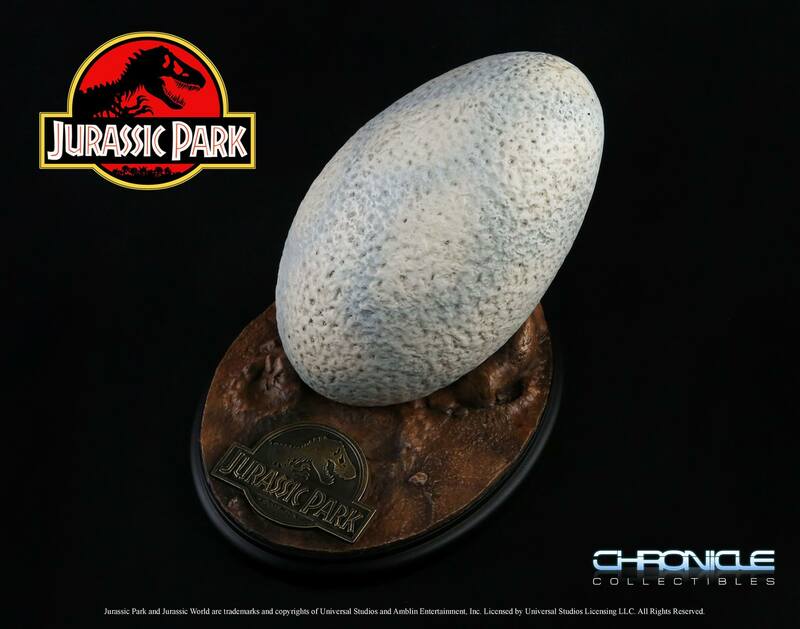 Jurassic Park Raptor Egg will be going live for pre-order Friday, June 9th at 12 noon CST. $200 retail. We will not be offering a 10-month payment plan; only full price, 3-month and 6-month plans will be available. 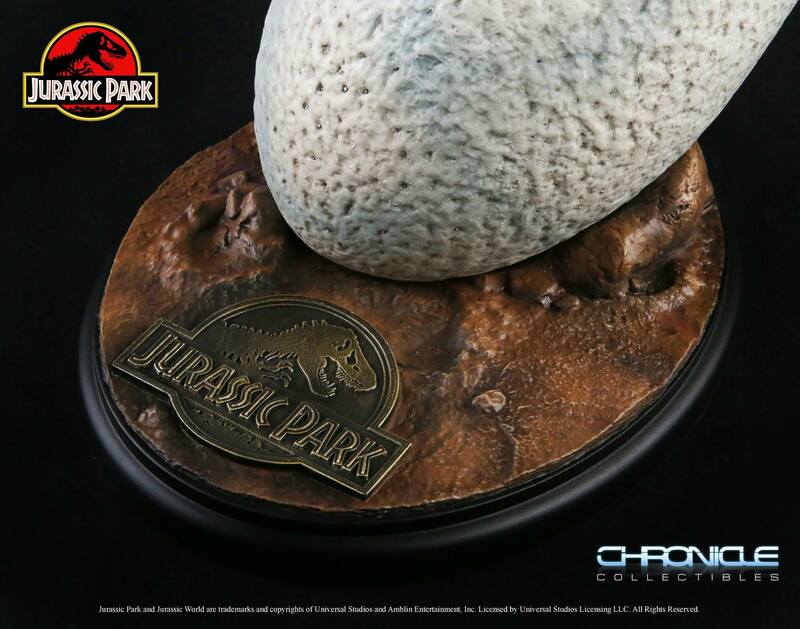 As much as I love Jurassic Park, not exactly the most exciting item.